Northern Ireland captain Steve Davis wants his side to kick-on after beating Estonia in their opening EURO 2020 qualifier on Thursday night. Michael O'Neill's side won the clash 2-0 after a strike from Niall McGinn and a penalty from Davis. 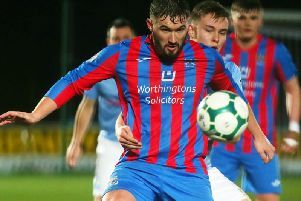 Belarus are next up at the National Stadium at Windsor Park on Sunday and the Rangers midfielder wants his side to pick-up another three points at home but he knows it will not be easy.